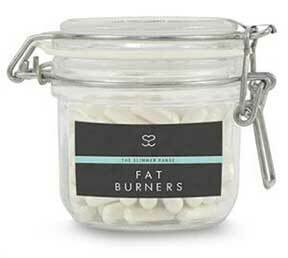 As the name suggests in no uncertain terms, She Supps Fat Burners is a supplement that’s intended to improve fat burning abilities. It’s part of a range of supplements produced in the UK by She Supps and, like all the company’s products, it’s been made specially for women. According to She Supps, Fat Burners contains the strongest and most effective energy boosting and weight loss ingredients available. But the company then goes on to say the key component is caffeine. It’s an ingredient that can provide both benefits mentioned, but stimulant driven diet pills always present a risk of side effects. She Supps say their pills do not cause caffeine-related side effects, but we do not see any way such a claim can be supported. Claims: To contain the strongest and most effective energy boosting and weight loss ingredients available. L-Tyrosine (200mg): A versatile amino acid that can be found in supplements of all kinds, including bodybuilding formulations and smart drugs. Among other things, L-Tyrosine is a stimulant and the results of a study conducted by researchers in Amsterdam suggest supplements that contain L-Tyrosine can be good for reducing stress and fatigue. Caffeine Anhydrous (180mg): Anyone who has drunk a good, strong cup of coffee will be aware how good caffeine is for clearing the mind and boosting energy levels. Caffeine is also a fat burner with proven capabilities, but 180mg is the equivalent of two cups of coffee and this may be more than some users can handle. L-Tryptophan (50mg): An amino acid that aids serotonin production and is a key ingredient in some supplements designed to encourage restful sleep. L-Tryptophan is also sometimes used in supplements designed to help women avoid the mood swings caused by premenstrual syndrome (PMS). Vitamin D3 (100,000 IU) (50mg): Also known as cholecalciferol, Vitamin D3 is one the most important D vitamins. It aids calcium absorption and is a key component in supplements designed to treat rickets. There is some evidence to suggest people who do not get enough Vitamin D may be prone to weight gain, but high doses of Vitamin D can be toxic and cause a condition known as hypervitaminosis D. According to the Mayo Clinic, the Recommended Dietary Allowance (RDA) for most adults is 600 international units (IU) per day, and sustained use of Vitamin D, at a dose of 50,000 IU can cause toxicity. The inclusion rater here is double that amount. L-Taurine (25mg): An amino acid that has such good credentials as a stimulant it’s a key ingredient in most energy drinks, including Red Bull. Vitamin B6 (1.7mg): A B vitamin that helps provide an efficient metabolism and is good for boosting energy levels. If you take a look at the nutritional information provided for most energy drinks you will probably notice Vitamin B6 has been added to the mix. How to Use – One capsule is required, twice a day and it’s important to leave four to six hours between doses. The second dose of the day should not be consumed after 3pm. This should help lessen the likelihood of the formulation interfering with sleep. Caffeine-related side effects can include jitters, headache, and nausea. Lower doses are less likely to present issue, but the amount provided here is quite high and is included in a form that is known to be absorbed quickly. However, the biggest problem with this formulation is the amount of Vitamin D3 it contains. Consuming too much Vitamin D3 causes a condition called Hypervitaminosis D that presents a number of symptoms including muscle weakness and fatigue. She Supps does not offer customers a money back guarantee. Customers who use this product will only have to pay a maximum cost of £21.99 every two months, so Fat Burners is pretty hard to beat on price. There seems to be some confusion over the ingredients though, and this does not impress. However, the pills provide a proven fat burner (caffeine) and several of the ingredients, including caffeine, are capable of providing the promised energy boost; so the pills will likely do what they are supposed to do and this fat burner for women should do exactly the same thing for a man. She Supps’ claim that the pills will not cause any caffeine side effects cannot be supported though. Nor can the claim that the formulation does not contain potentially harmful ingredients. Vitamin D3 is an important nutrient that is necessary for good health, but the high dose provided here exceeds recommended amounts and may be damaging to the health so, if you are looking for a good fat burning diet pill, we suggest you avoid this one and choose something else instead.